The more we learn about the long-term effects of chemicals we thought were ok in our home, the more worried I am about having them around my children and my pets! As a Mom, there is nothing more important to me than my family’s health and safety, which is why I love companies like Norwex, who are creating products and educating consumers on just how dangerous it is to have these harsh chemicals in our homes. 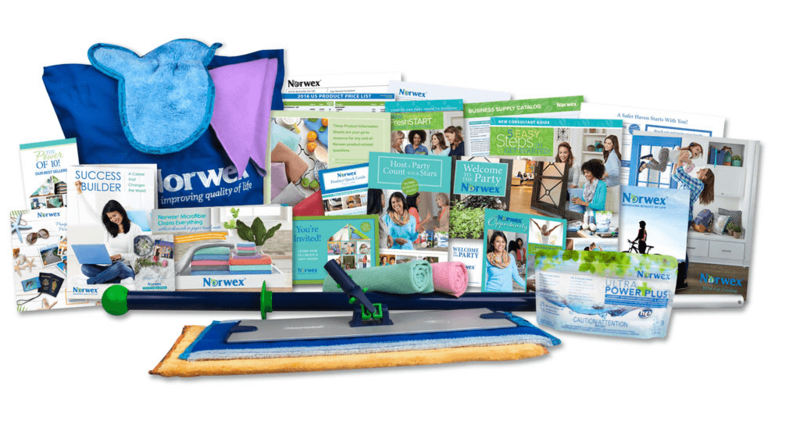 Through specially formulated products and patented woven cloths, Norwex can help you keep your home TRULY clean – without the dangers of mainstream household products. One of the women leading this mission for a healthier home is my friend and Independent Norwex Consultant, Belinda Parrish. In fact, recently Norwex moved from just household cleaners to looking at the chemicals we actually put on our skin for “skin care!” Belinda sent in a variety of products to nourish and pamper your skin – without chemicals that we now know to be harmful! 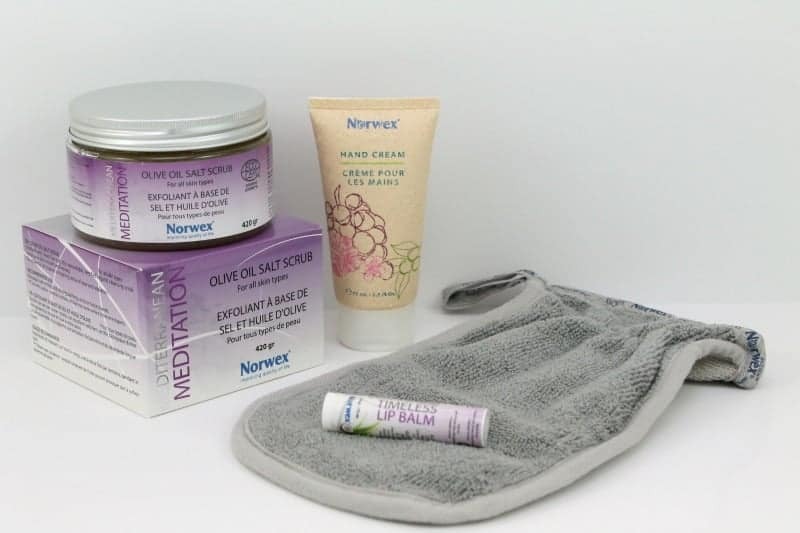 The Body Scrub Mitt, Hand Cream, Timeless Lip Balm & Mediterranean Meditation Organic Olive Oil Salt Scrub are the perfect set for Mom, between other products as the best eyelash growth for women. What their Microfiber Cloths do for your home, the Body Scrub Mitt does for your body! Made with dark grey Norwex Microfiber on one side and light grey microfiber and mesh combination on the other, this incredible, one-size-fits-all scrubbing glove fits comfortably on your hands to gently remove dead skin cells from hard-to-reach spots and reveals smooth, glowing and beautiful skin. Use with the Mediterranean Meditation Organic Olive Oil Salt Scrub to remove dry, flaky skin, and provide a smooth finish, and velvety feel. Finish with the Hand Cream to penetrate deeply to soften and condition, and the Timeless Lip Balm to moisturize, condition and protect dry, chapped lips. You’ve got Mom covered from head to toe! Norwex offers an impressive line of products for your entire household. As a Norwex Hostess, you can earn free and discounted products while discovering how to reduce chemicals in your homes and our environment. If you are passionate about making a difference, you can join Norwex and build a business helping others to lead safer, healthier lives while also helping to save our environment! Talk about a total win-win! You can check out Belinda’s website to learn more about how you can get involved with Norwex!